Team Tboli Multi Sports emerged overall champion in the recently concluded Race to Seven Eco-Cultural Challenge, one of the events of this year's Helobung Festival in Lake Sebu, South Cotabato. Composed of Gilton Ponce, Allora Brava and Gilbert Elly, the winning team from the Municipality of Tboli ruled over 8 other teams which came from different parts of Mindanao. 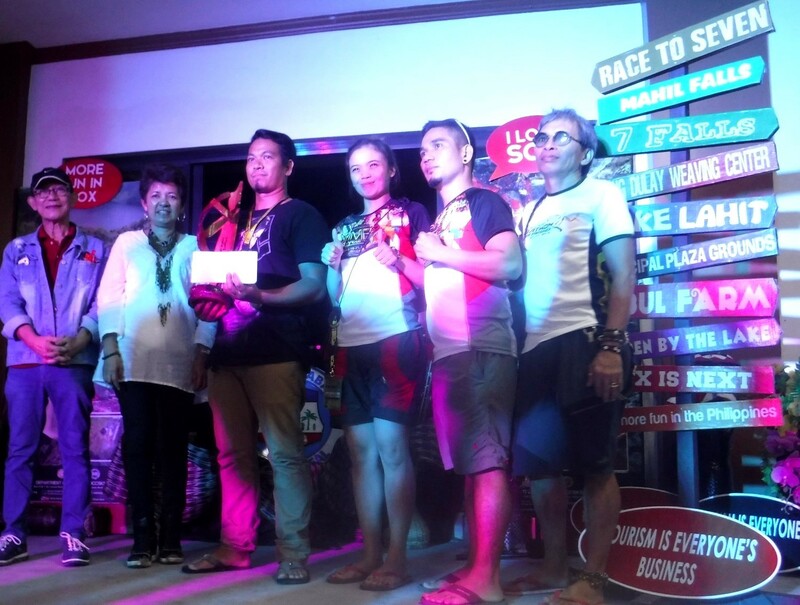 They successfully conquered Race to Seven's 7 challenges or the competition's "7 ways to explore extreme Lake Sebu" and took home the P15,000 cash prize and a trophy. Held last Saturday, November 11, the competition began and ended in Lake Lahit, one of the three (3) lakes in the Municipality of Lake Sebu. All participating teams completed the challenges and exciting activities including collecting bean clam (agihis) at Falls #2, trekking to falls #1 via the 774-step canopy trail, riding a habal-habal, Tboli beads bracelet making at the Lang Dulay Weaving Center, wearing of Tboli dress and witnessed the Helobung Festival at the Municipal Plaza, made indigenous brooms & braided rings in Trankini & Mahil Falls, learned how to make mint & tarragon tea at Sebul Farm, catch and clean tilapias at Garden by the Lake Resort, and ride dugout canoes using boat paddles which they made from bamboos. The Race to Seven event was made possible by the Provincial Government of South Cotabato, Department of Tourism-12, LGU-Lake Sebu, the Friends of Holon & Melibengoy (FHM), and the Provincial Tourism Council of South Cotabato, Inc., and their sponsors.